Anyone who keeps his or her savings in cryptocurrency will sooner or later wonder what the safest method of storage is. However, due to recent events, it is becoming an increasingly complex task. The exchanges insist on personal data being sent to them, and the latest case with Coinbase, which is now obligated to turn over all of its clients’ detailed personal data, has sent crypto-exchange owners into shock. Poloniex, Bittrex, btc-e (wex.nz), Bitfinex – all of these exchanges are subject to frequent attacks, and some – to FBI incursions. Over the course of the history of cryptocurrency exchanges over USD 1 billion has been stolen from them. Utilization of local wallets is no less problematic. The loading of the entire transaction ledger may take up to one day, the size is also insignificant – approximately 100 Gb. The problem with wallet migration. Besides all of this, there’s a risk of losing the wallet entirely if the media is damaged. Where can you keep your cryptocurrency savings in a way conveniently and reliably? 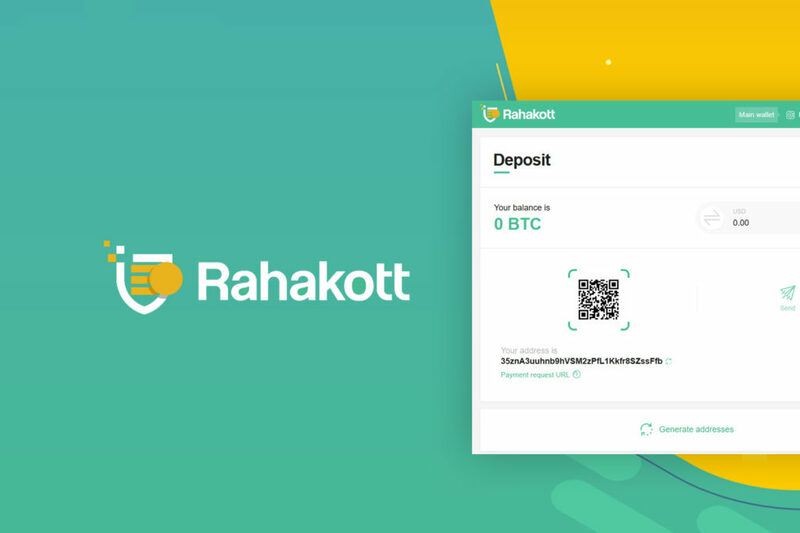 A number of enthusiasts have inadvertently asked themselves this question, and decided to create Rahakott, a reliable and convenient online wallet. Akke Svenson, the developer of the wallet, stated, “There’s an extensive selection of crypto-wallets on the market, but it’s not that easy to find a really convenient and practical one among them. That’s why our team decided to develop a proprietary app, which would incorporate the best of all the other software.” Rahakott is a new multicurrency online wallet for cryptocurrency storage. The project was launched in the fall of last year. In order to attain success, the new wallet resolved to provide better product quality and user convenience. So, what are the reasons for a regular user to switch to Rahakott? Security: In case of a security breach – all data is securely encrypted on the servers, even the developers would not be able to get to it. The only way to gain access to your account is your mnemonic phrase. The option of installing 2FA on your account. The wallet: There are currently 5 most popular and most frequently used cryptocurrencies available – BTC, LTC, XMR, ZEC and DASH. Over the course of its existence, over USD 10 million in Bitcoin were transferred through the service, which inspires trust. Quick, instant and friendly support by the wallet developers. Should you try out the wallet? Definitely/ The service is supremely hospitable, and is always ready to welcome you. We’d like to finish up by quoting a comment by the developers: “The Rahakott wallet has been launched into operation on November 12, 2017. We are planning to continually improve the service’s functions.